When most people think of shade loving plants, what comes to mind are boring foliage bearers and a limited selection of tired, worn out, overused flowers. This is only the beginning of what you can put in a window box, though! Shade window boxes can be amazing, intriguing and beautiful. The first step is to choose an amazing window box that can ground your plant selection, then a bracket that you can use to mount it securely to a wall, fence, wooden rail or metal rail. You can learn about ways to automate care like watering in our informative blog on drip irrigation here. Read on for information on really nifty shade loving plants to put in your window boxes. Viola / Pansy. Violas and pansies are members of the same family, but the color and size variety you’ll find is practically unlimited. Violas have smaller, peppy flowers, where pansies generally are bred for size and a striking color pattern. Don’t limit yourself to what you can find in a nursery, they’re super easy to grow from seed! In warmer climates, fall-planted violas and pansies will overwinter and pop back up in spring. Talk about foliage! If you need to give your green a little lift, the merry colors of a coleus plant could be the trick. Some varieties will look better if you pinch them back once in awhile to create a more bushy appearance. 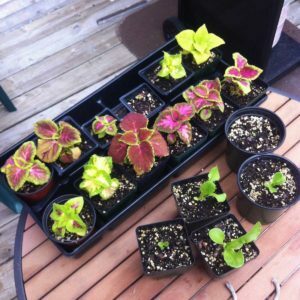 Shade coleus varieties include Kong series, Henna, Indian Summer, and Lava Rose. The spiral in the center of each of the rex begonia’s leaves is mesmerizing – at least, it’s a good excuse for buying lots of these shade-loving plants. That silvery-green foliage is reason enough to add them to your shade window boxes, their delicate flowers are just icing on the cake. Check out varieties like Painted-leaf, Fireworks, and River Nile for dramatic visual impact. 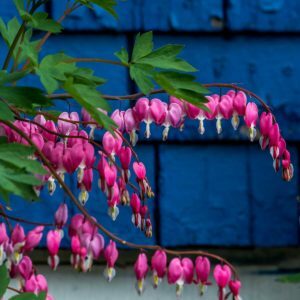 Bleeding hearts are plants that thrive in the moist area between woodland and meadow, so you’re going to need to water them well to keep them going in a window box. Otherwise, they’re not fussy and dwarf varieties create tidy little mounds perfect for smaller containers. Flower stalks last a long time, giving you plenty of chances to enjoy them. Fun fact: dwarf species and hybrids bloom year-round vs. the full-sized varieties. See Duchman’s Breeches, Pacific, and Fringed varieties for an exotic display. Coral bells also survive in the damp and shady spots of the world, with huge frilled leaves that have been bred into a dazzling array of colors. Their flower stalk is impressive, as well, giving them lots of dimensions. 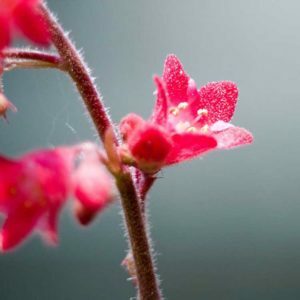 The most popular variety of dwarf coral bells is Apply Crisp, but you can also check out full-sized varieties like Midnight Rose, Citronelle, and Hollywood. Although often thought of as a hanging basket plant, fuchsia plants can also appear with upright habits more suited to a window box. 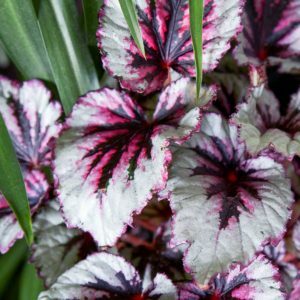 These delicate and beautiful plants can be a bit fussy, but once you have them situated you’ll get no end of compliments on your gorgeous and exotic-looking shade flower choices. 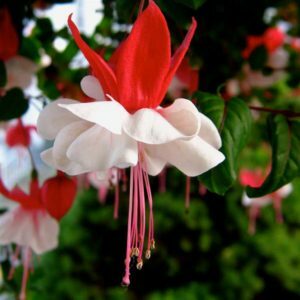 Fuchsia varieties to consider include Baby Blue Eyes, Cardinal Farges, and Beacon. 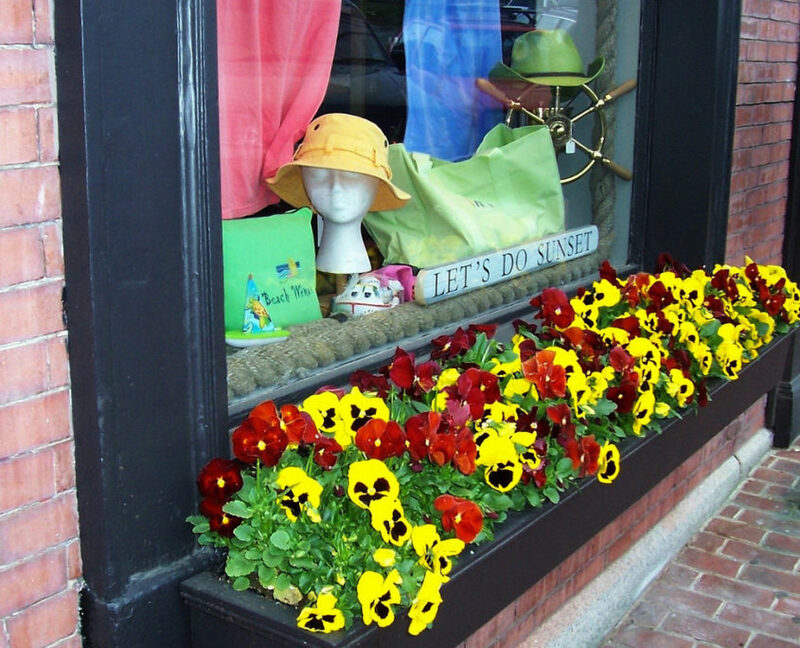 Sure, they’re a mainstay of flower shops, but they can also make surprising additions to warm-climate window boxes. Both miniature and standard sizes can make great window box plants, but you’ll want to include a taller companion to create dimension when your flower stalks are done. 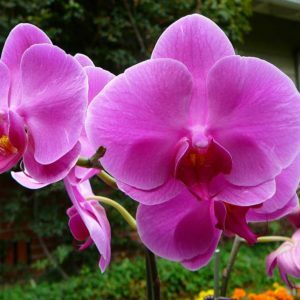 Other shade-loving outdoor orchids include Paphiopedilums (Lady’s-slipper) and Spathoglottis. Those green grass-like plants that your grandmother loved are also perfect shade window box assets in warmer climates. Not only do the plants create interest with the shoots that they use to reproduce, the rare flower stalk is delicate and airy. Spider plants like to be crowded, so keep this in mind when planning a box with them. 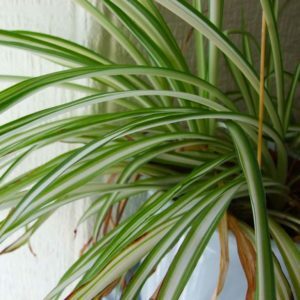 For gorgeous outdoor spider plants, look to Bonnie, Hawaiian, and Zebra grass varieties. Another forest edge dweller, trilliums have been bred into several bright colors and produce large blooms on short foliage. A row of trilliums interspersed with a taller, tidy plant like pansies can make a very dramatic statement. 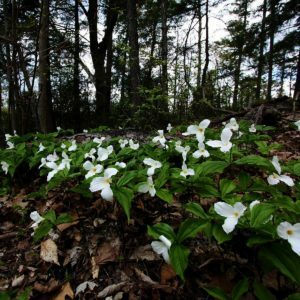 Commonly called “wake robin” or “toadshade”, North American trillium varieties are most often specific to region – Northeastern (Larger flowers), Western (Smaller, long-lasting flowers), and Southeastern (grows close to the ground; flowers up to 3″). For a vibrant, ruby hue look to Trillium erectum (red trillium) for winter color. 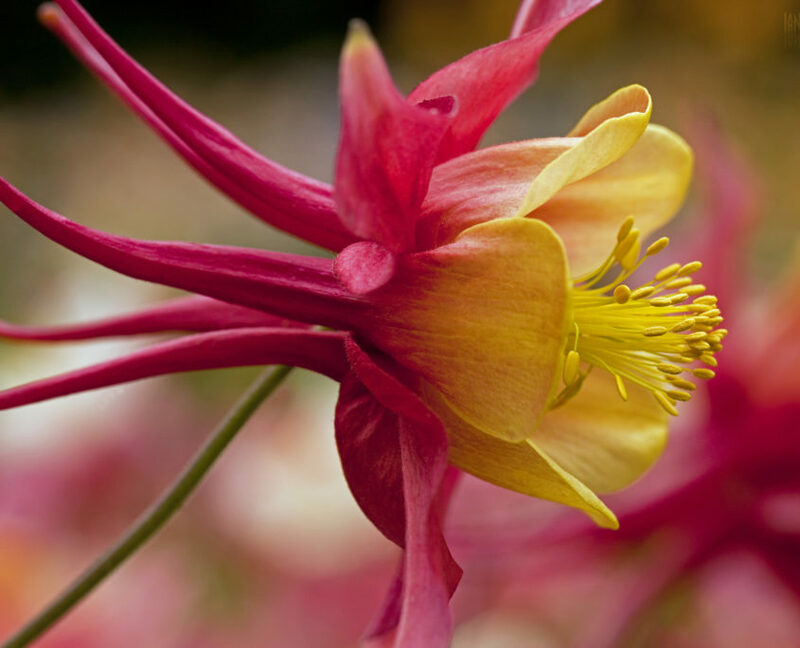 There are few flowers that can match the visual complexity of a columbine. Gorgeous and hardy, these once-wild flowers have been domesticated into a dazzling array of colors and color combinations. They’re easy to grow from seed and do well anywhere in the shade so long as they’re kept watered. Find these delightfully cheerful flowers in varieties such as Bluebird, Cameo, Clementine, and Little Lanterns (shown) varieties. Growing shade plants in window boxes is usually pretty straightforward, but as the season goes on, the heat of the sun can make it hard to keep them watered properly. You may want to consider adding a water reservoir or invest in self-watering planters for your shady spots. You can read more about how this technology works here. When you’re ready to start your shade garden, be sure to see our self-watering window boxes and inserts for just the right amount of irrigation – no under, or over-watering!